A group of third year students on our journalism degree are running a live website all week. 4 You is aimed at 11-16 year olds and the group are finding writing for the audience hard. Melissa is working with four other final year students – Richard Green, Eliot Mullett, Matthew King and Daniel Bardell – to update the site with breaking news. Each student has a specialist role, ranging from website designer to section editors. In addition to the news items, the website has a news blog, editor’s blog and a sports blog, where readers are able to interact with the 4 You team and discuss different stories. To make the site even more interactive, the team have set up message boards and are in the process of recording audio and video both for the blogs and for stories. 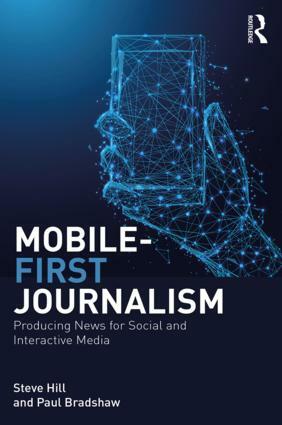 But as news editor Eliot Mullett states, this hasn’t been easy: “The more interactive we want to become, or the better we strive the website to be, the less time we seem to have in our editing role. The students will not only be producing a live website, but also a magazine offering a more reflective angle on the news, as well as numerous features that are of interest to children. Elliott says the team welcomes any comments or criticism about individual news items or design. This entry was posted in online journalism and tagged comments, online journalism students on March 28, 2007 by Paul Bradshaw. This entry was posted in mobile and tagged advertising, emap, Guardian, online video on March 27, 2007 by Paul Bradshaw. This entry was posted in online journalism and tagged advertising, online video, video blogging, vodcasts on March 26, 2007 by Paul Bradshaw. “Online resource and discussion area for media website editors” the Digital Editors Network gets a plug in the latest Press Gazette letters page. It’s pretty quiet at the moment, both in terms of posts and comments, and it’s not clear whether media website editors have been invited to post to the site, or only comment (I’m guessing the latter). As word gets around (and I hope I’m helping here) it may be one to watch, particularly with regard to Johnston Press. This entry was posted in online journalism and tagged local newspapers on March 23, 2007 by Paul Bradshaw. This entry was posted in data journalism on March 21, 2007 by Paul Bradshaw. This entry was posted in online journalism and tagged interactivity on March 21, 2007 by Paul Bradshaw. “unique content and an archive which allows readers to search past stories and the community areas of the site. “a string of blogs from its Sunday and Daily journalists. Sounds pretty good for a Desmond-owned publication (not difficult, admittedly), although in reality it’s a website that looks like it was created by someone who was once told what this web 2.0 thing is all about, but wasn’t really listening. Or, in other words, new media through an old media hack’s eyes. The blogs are basically opinion columns (no links), I can’t find the “community areas”, and of course there’s no video yet. MYExpress is the most impressive – I can imagine Express readers too dazzled by MySpace social networking away with other Disgusteds, although there’s not much to it apart from a blogging service, personalised homepage and ability to search other profiles. Oh, and the online journalists are ghettoised in a separate team. 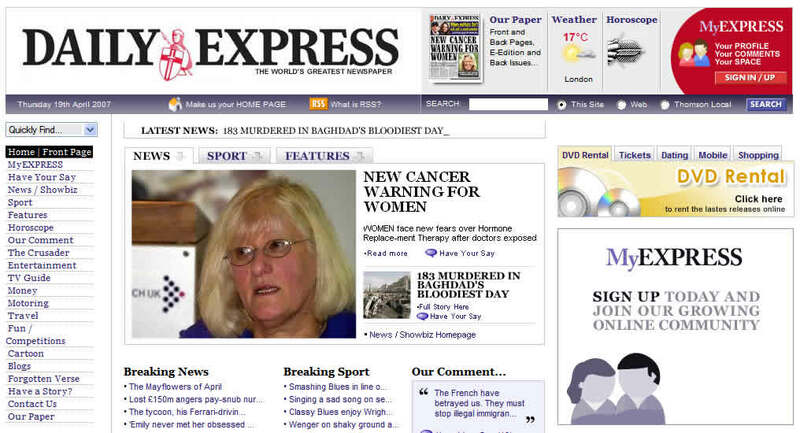 Anyway, welcome to the 21st century, Express. 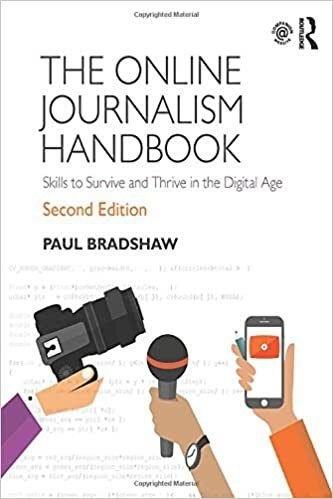 This entry was posted in online journalism, user generated content and tagged comments, community, myspace, online video, web 2.0, website relaunch on March 20, 2007 by Paul Bradshaw.